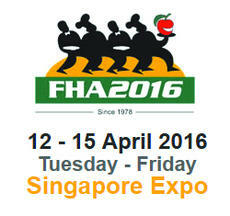 In a few days we will be exhibiting at FHA 2016 - Food and Hotel Asia show. Our booth will be in pavillion 1, n° 1E1 01. We will wait for your there from April 12 to 15.